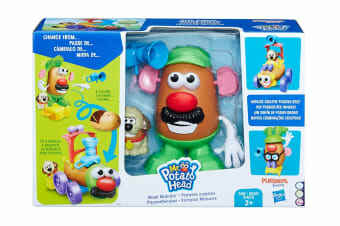 Grow creativity with everyone’s best spud, the Mr Potato Head Mash Mobiles. 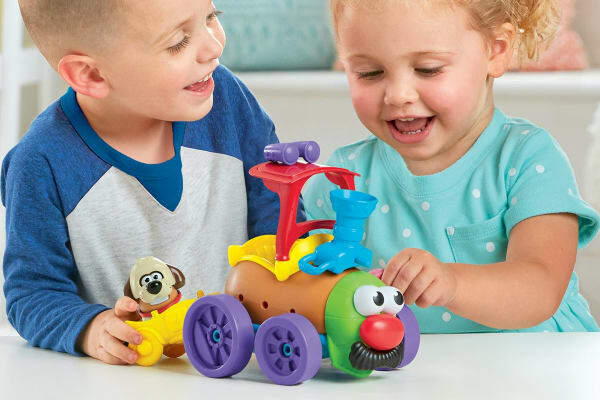 Little ones can change from figure play to vehicle play and swap out pieces to create a tater train, a truck and any other wacky creation they can imagine! The Mr Potato Head Mash Mobiles includes a mini-scale potato body that kids can make into a pet dog and imagine loves going for a ride. 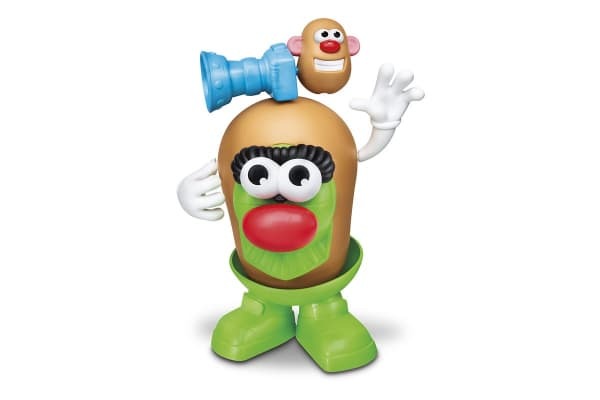 With no wrong way to play when mixing and mashing, kids can feel free to giggle and laugh at their wacky creations. They can mix and mash the parts and pieces and let their imaginations grow and discover endless creative possibilities! Get creative with dual-purpose pieces including a camera accessory that can be a smokestack, a backpack that can become a train car and a hat that can become a cow-catcher on the front of the train.